Korean pop stars BTS will play two shows at London’s O2 Arena. The K-pop stars have been a sensation around the world and amassed a global following. They will embark on the Love Yourself world tour in August, which will bring them to the capital for two live shows on October 9 and 10. The tour will kick off at the Jamsil Olympic Stadium in Seoul on August 25 and will see them play 22 concerts in 11 cities. The group will also visit Canada, the Netherlands, Germany and France as well as the US. 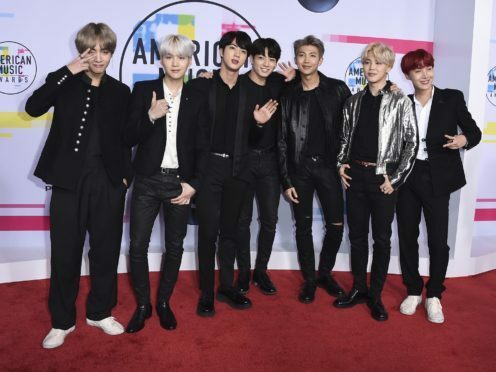 Tour organisers Big Hit Entertainment said: “BTS will launch a brand-new tour this year, titled Love Yourself, following last year’s success of the Trilogy Episode begun in 2014. The band will release their third studio album on May 18 and will premiere new single We Are So Excited at the Billboard Music Awards in Las Vegas in May. Tickets go on sale on June 2 at 9am.